Owning a business is not a game. Seemingly, playing games is also irrelevant to running a business. Yet, there are skills requisite to entrepreneurship that may require development through practice. Whether one struggles with memory, focus, recall, or eliminating distractions, there may be a game to help you strengthen your mental capacity. There is a growing number of “brain games” that help with decision making and memory improvement. Lumosity.com, which makes games for these needs, reached 35 million users earlier this year. Joe Hardy, PhD and Vice President of Research and Development for Lumosity, believes brain games are ideal for business owners. “Owning a business is one of the most cognitively challenging jobs,” Hardy says. The largest provider of brain games, the site works to train your brain in five categories: speed, memory, attention, flexibility and problem solving. “Each exercise is designed to train a different cognitive function of the brain,” Hardy explains. The games are based on neurological research performed by researchers from various institutions, including Columbia University and the University of California-Berkeley. 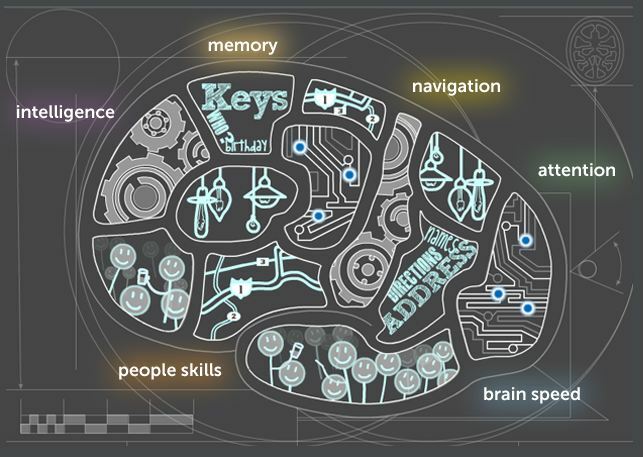 Positscience offers brain training in five categories: attention, brain speed, memory, people skills and intelligence. (A new category, navigation, will be available on the site soon.) Posit Science games include enhancing a user’s ability to read facial expressions, from easy (happy or sad) to the more difficult (puzzled or embarrassed). Its games also help users improve facial recognition as well as matching names with faces and remembering facts about people you meet, an important skill in networking and business. Prices vary according to the program selected and the professional coach’s fees. The program is best for people who have working memory issues caused by ADHD, anxiety in social settings, or adjusting quickly to new tasks.